Driven almost 1 year and love the drive even more. Even though the Sportsvan only seats 5, the rear cabin space is huge. It is ideal for a small family like the one I have with 2 young kids who need childseats. I have 2 childseats in the car while there is still space for an adult to sit in between them in the rear! Been looking at tons of cars from all sorts of sedan, 5+2 suv, mpv and decided that practicality wins over design. Must admit that it is not the best looking car and definitely look like an up sized Golf, but take a chance and look in its interior,I am a gadget guy, so dashboard is a big factor for me, and the paranomic roof, which I am sure my 2 little ones will adore. But what sold us was the space on the 2 roll, as We need to put 2 baby seats and hence my Wife or helper will need to climb in and out so this was the main selling point to us. Beside, Wife is a fan of VW and like all men said, happy Wife, happy life. After having had a go in the VW Sportsvan, i think the best (and probably most accurate) way to describe it is as an upsized Golf. Which of course in many ways it literally is. It looks very much like the Golf, except in mpv dimensions. Inside, its nice, classy and very sensible. Comfortable place to be in, too. Driving the sportsvan, it does again bring to mind the golf. It drives quite well, very stable and comfortable, refined all around and is actually fairly agile given its mpv size. the biggest knock with the sportsvan is also precisely the fact that it's an upsized golf rather than an out-and-out mpv. I think when you compare it to other similarly priced mpvs it looses out on practical aspects like boot space. So while it is definitely a good car that is fun to drive, i'm not convinced that it's necessarily a very good mpv in the traditional sense. Authorised Distributor Volkswagen cars are Volkswagen Arteon Reviews, Volkswagen Beetle Reviews, Volkswagen Beetle Cabriolet Reviews, Volkswagen Beetle Dune Reviews, Volkswagen Golf Reviews, Volkswagen Golf GTI Reviews, Volkswagen Golf R Reviews, Volkswagen Golf Variant Reviews, Volkswagen Passat Reviews, Volkswagen Passat Variant Reviews, Volkswagen Polo Reviews, Volkswagen Sharan Reviews, Volkswagen Tiguan Reviews, Volkswagen Touran Reviews, Volkswagen Transporter Reviews. Parallel Imported Volkswagen cars are Volkswagen Amarok Reviews. sgCarMart is the number one car site for buying Singapore cars, including new cars, parallel import cars, Toyota, Honda, Nissan, Volkswagen, Mitsubishi & BMW. 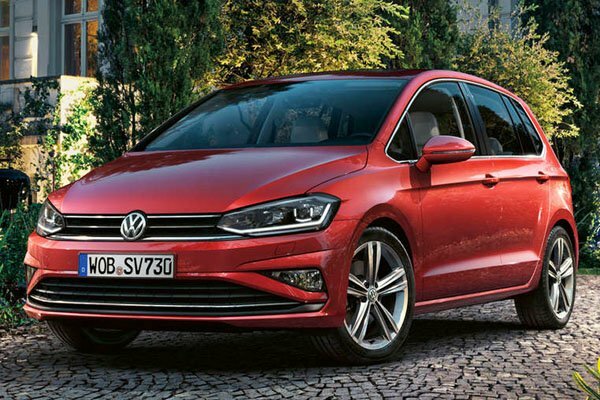 We have new car dealers comprising parallel importers, authorised car distributors, and used car dealers who have the New Volkswagen Golf SV latest price Find new car pricelists, new car launches, new car promotions, new car reviews, latest car news & car articles. Read the New.Volkswagen Golf SV consumer reviews to help you decide on buying a car. Also join our car discussion and forum discussion for car reviews, motoring news & motoring guides. Visit our partner sites who have job openings for Singapore jobs, Singapore classifieds, mover and real estate properties for sale.